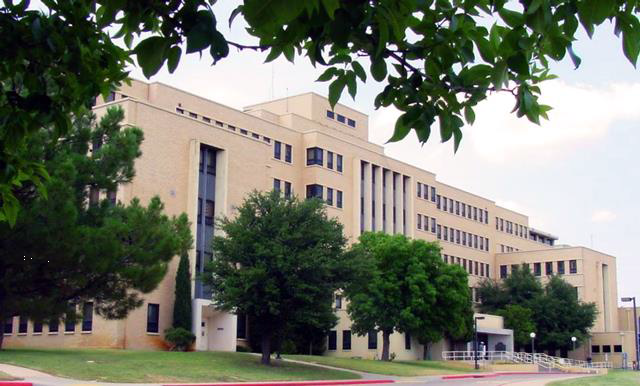 Abraxas Energy Consulting conducted a retro-commissioning (RCx) project for the VA Medical Center in Big Spring, Texas in September 2014. There were 13 buildings in the scope of this project at the facility, the main and largest of these being a 282,280 square foot hospital that now serves as a medical clinic. There were 14 other buildings, under 30,000 square feet, most of them used as either medical or administration offices. The purpose of the RCx program was to assist the VA Department in optimizing the operation of heating, ventilating and air-conditioning systems in all the buildings under study and thus fulfill the goals of reducing energy costs and bringing equipment to its proper operational state. The program provided simple repairs that were completed as part of the contract as well as cost effective improvements that could be later implemented. 1. Perform HVAC diagnostics through the analysis of trend logs and functional equipment testing. 2. Complete simple repairs and setpoint adjustments to correct previously identified issues. 3. Provide recommendations for minor and major repairs or corrective actions that are needed. 4. Review and update all major HVAC equipment lists. A Planning Phase, where an RCx Plan was created based on information collected in meetings, building documentation, interviews with managers and occupants, walk-throughs and revision of VA standards. This plan established the roadmap for posterior activities. 1. A facility performance analysis based on energy consumption from utility bills corresponding to the three years previous to this study. This data provided a baseline for energy use and was used to benchmark the overall campus performance with similar facilities. 2. System diagnostics monitoring that provided quantifiable measurements of system performance over time that help to confirm known issues and uncover additional ones. System trend logs and portable data loggers were used to monitor performance and elaborate a monitoring report. 3. System testing to verify that equipment is working as expected. 4. Following these activities, 108 issues were identified. 16 of them were categorized as requiring simple repairs (that could be completed in less than 30 minutes) and subsequently corrected by VA, Abraxas Energy Consulting or a subcontractor so they didn’t mask underlying major issues. These simple issues, that affected mostly the main building, included lack of no unoccupied setbacks, dirty air filters, mislabeled graphics, dead batteries, loose linkage in AHUs, no operative AHU valves and need for setpoint adjustments. 5. 18 out of the 108 identified issues required minor repairs and were implemented by Abraxas Energy Consulting. Minor repairs included connect air dampers to the front end of BAS so they can be controlled, implementing SAT reset strategy, implementation of occupied/unoccupied temperature setback, installation of differential pressure sensors and establish automated control through BAS for pumps. 73 issues were categorized as major or minor repairs and will be completed by the VA in the future. 6. Additional major and minor recommendations were also made for future projects that have the potential to improve building and system performance, enhance infection control, reduce energy costs and improve environmental quality. These measures were not implemented as part of this study since they have higher implementation costs. Regarding energy savings, a total of 14 major energy conservation measures (ECMs) were identified. The largest opportunities for savings were found on implementing an unoccupied setback schedule strategy to prevent conditioning unoccupied spaces. Other ECMs proposed included implementation of SAT and chilled water reset strategies, replacement of steam traps, implementation of condenser and primary chilled water pumps control strategies, installation of thermostat to control exhaust fan, optimization of the static pressure setpoint, installation of programmable thermostats and zone valves to control heaters, replace photocells, lighting controls, repair or add of pipe insulation, implementation of economizer control strategy, installation of economizer controller. If implemented, these ECMs could save over $163,858 with a simple payback of 0.37 years. Savings in electricity would amount to 1,477,897 kWh/yr and 428 kW/yr for electricity and 42,288 Therm/yr for natural gas. These savings correspond to about 18% of the average annual electricity consumed in the last 3 years and to 11% of annual natural gas consumption respectively. Other minor measures that were not evaluated in such detail were also presented. Other recommendations, such as attending BAS training, addition of dust storm controls to BAS or maintaining clean filters, were proposed as a requirement to improve HVAC system functions, environmental quality and infection control respectively. 7. Finally, a mechanical equipment inventory was compiled. The implemented solution accurately met the requirements dictated by the Department of VA by providing a prompt diagnosis of the system that identified simple and minor repairs that immediately improved the performance of the HVAC system and established additional opportunities for improvement to be implemented in the future. First, a set of simple repairs that enhanced environmental quality and lead to energy savings was executed. Then, a list of other minor repairs was prepared and partially completed by the appropriate personnel leading to additional savings and improvements. Finally, saving opportunities for over $160,000 to be implemented in the future were identified. This RCx plan helped the George H. O’Brien, Jr. Medical Center get closer to reaching EISA requirements for federal buildings.